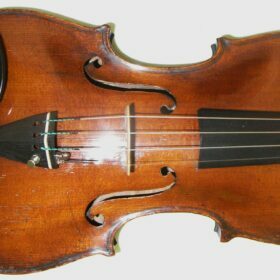 A very beautiful and gorgeous sounding 20th century violin labelled FM Bertucci , e A Gonzales, Roma 1928. This is an instrument that stands out with its deep red tinged varnish and is in absolutely wonderful condition. SKU: 00028 Categories: Violins, Italian Collection, Contemporary. 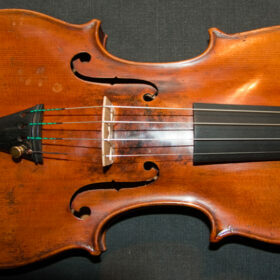 Tags: antique violin, contemporary, italian, violin. 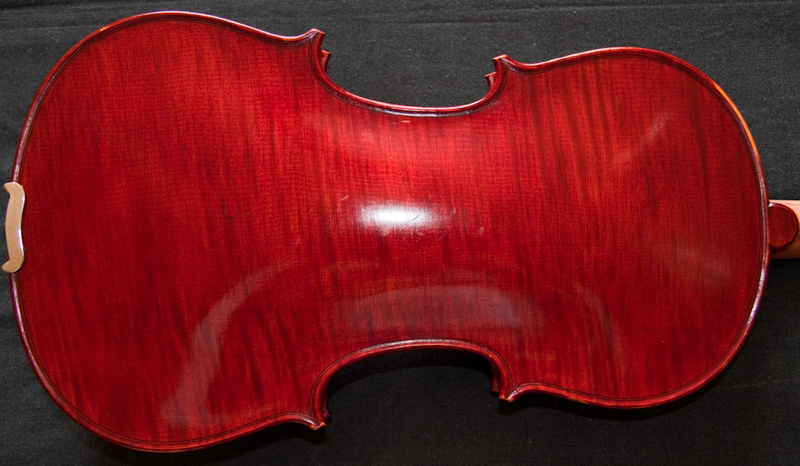 This is an instrument that stands out with its deep red tinged varnish and is in absolutely wonderful condition. 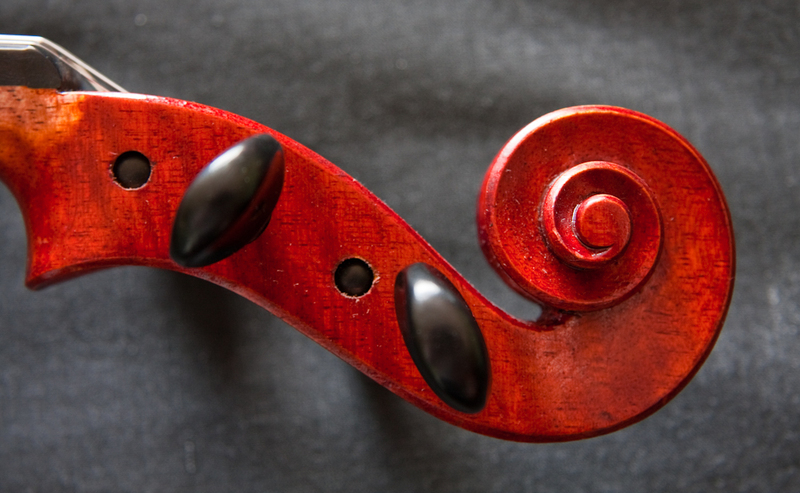 It is of excellent construction, which is the reason for its outstanding tonal qualities. The spruce top is of the finest grain whilst it has a beautiful single-piece maple back. 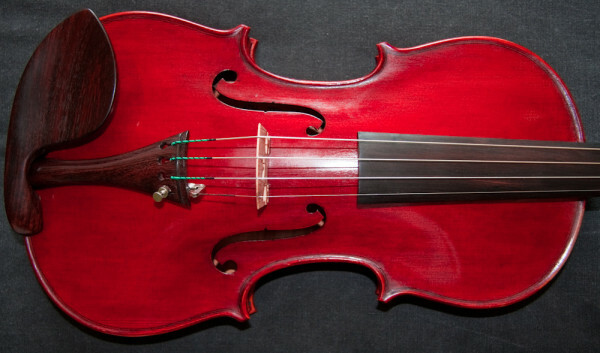 This violin sounds incredibly good. 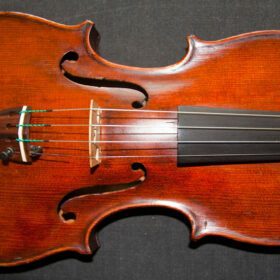 It has the type of focused and highly resonant sound that you get in the best 18th century violins. Then whilst being very focused it has this huge range of overtones, and as you play you feel surrounded by a cascade of tones. 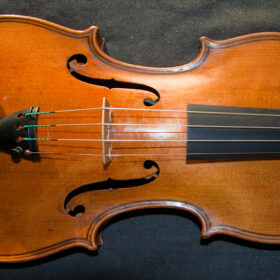 It is also a violin which is very quick in response, which makes playing the most difficult passages easy. 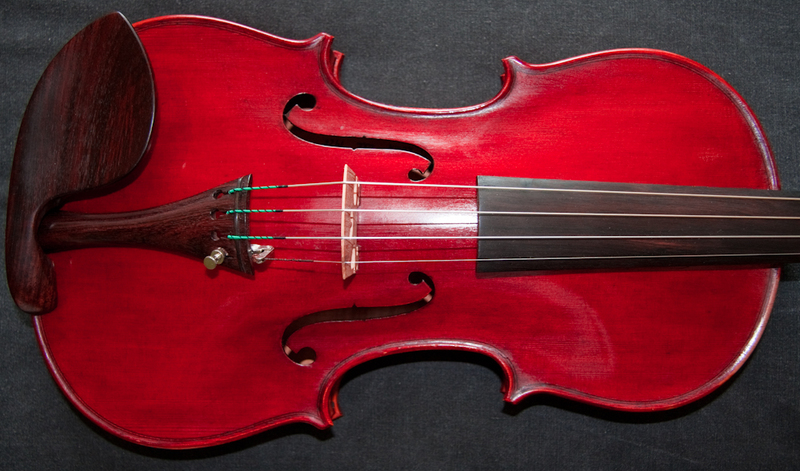 This violin is an absolute joy to play.